Former DA leader Tony Leon is back in town after a three-year ambassadorial stint in South America. He claims to have no plans to re-enter formal politics, but listening to him talk, it’s clear he’s still got a lot of strong opinions. By REBECCA DAVIS. Tony Leon has just returned from Argentina, where he has been based since 2009 as Head of Mission and Ambassador to Argentina, Uruguay and Paraguay. In those three years Leon has kept a relatively low profile in terms of a South African media presence. Whether this has been the case behind the scenes at his old party is a question for DA insiders, though one can’t imagine that Helen Zille would take kindly to having her toes trodden on in this regard. Either way, he’s back in Cape Town now, and on Wednesday gave his first public address since his return. You can likely expect to see Leon doing a lot more speechifying: he told Eyewitness News mid-September that he was “going to be doing quite a lot of lectures in South Africa and abroad”. Leon is well respected internationally for his role growing the opposition and voluntarily relinquishing leadership of the DA in 2007. The Economist called his 2008 biography, On the Contrary, “eloquent, funny and rich”, if over-long. It’s not hard to believe, then, that he might be able to hook up some prestigious speaking opportunities abroad, perhaps with the aid of old friends and new ones made during his ambassadorial sojourn. During Wednesday’s address to Cape Town’s Press Club, Leon twice mentioned recent encounters with Bill Clinton. Before taking up his ambassadorship, Leon also spent time as a Visiting Fellow at both Harvard’s John F Kennedy School of Government and the Cato Institute in Washington, no doubt both vital networking resources. President Zuma’s appointment of Leon as ambassador came as a surprise to many, though he joined other senior DA politicians in overseas postings (former Parliament Opposition Leader Sandra Botha went to the Czech Republic, MP Sheila Camerer was sent to Bulgaria and former Chief Whip Douglas Gibson was until recently in Thailand). Leon enjoys a much friendlier relationship with Zuma than with Mbeki, with whom he had famously fiery conflicts. In her political memoir Up in Arms (2012), former DA MP Raenette Taljaard wrote that Leon’s approach in this regard was partially motivated by his frequent lamentations at “the absence of robust engagement in South African politics”. Leon reportedly wished the political space would follow more of an American model in this regard. With Zuma, however, things were far more cordial. 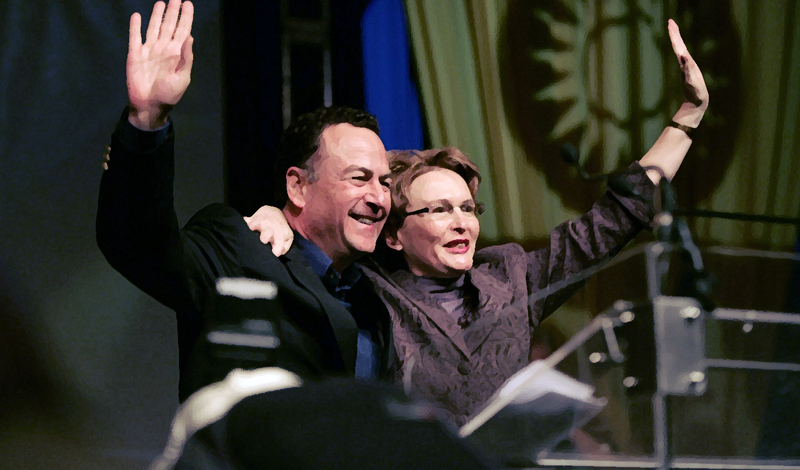 In fact, Leon went so far as to publicly disagree with Helen Zille on the matter of Zuma during the 2009 election campaign, saying that his lack of formal education was “utterly irrelevant” when considering his judgment. When asked about his relationship with Zuma on Wednesday, Leon called him “a much more affable chap” than Mbeki. “He’s asked to see me on 6 November, so I’d better not slag him off in public,” Leon joked. It is reported that Leon asked to return to South Africa slightly ahead of the formal end of his contract, believing that he had fulfilled his mandate. Certainly his ambassadorial record is impressive: under Leon, SA imports to Argentina increased by 80% to reach a record high of R1.3-billion. Argentine tourism to South Africa more than doubled during his tenure. He has written a book about his “adventures in diplomacy”, titled The Accidental Ambassador, to be published next year. Leon is still every bit the politician he once was: an engaging, extremely articulate speaker. Let us not forget, however, that he was by no means uncontroversial as a political leader in this country. His record in SA liberal politics was widely considered besmirched by the short-lived decision to merge the Democratic Party with the New National Party in 2000. Leon mentioned this during an answer to a question on Wednesday, saying he agreed with former Progressive Party leader Colin Eglin’s thinking at the time that “if you can’t put together the two, how are you ever going to advance into the majority of the electorate”. Leon was always a pragmatic politician, occasionally willing to sacrifice principles for populism, as when he expressed support for the death penalty in 2004 despite being the deputy chairman of the vehemently anti-death penalty group Liberty International. Then there was the decision to contest the 1999 elections under the controversial slogan “Fight Back”, interpreted by critics as really meaning “Fight Black”. That slogan encapsulated the spirit of Leon’s aggressive politics, beloved of many white voters but likely alienating to many black voters. It is a spirit with which the DA has subsequently made a clear break, though it hasn’t abandoned all Leon’s politicking: overtures towards COPE suggest that the desire to expand the opposition at considerable ideological cost is still in vogue in DA circles. Leon looked in his element on Wednesday. His speech consisted partly of personal reminiscences from his ambassadorial years, but largely dealt with the ways living in Argentina opened his eyes to both the strengths and weaknesses of South Africa, and its similarities with Argentina. “Both have resource-rich economies of the same size,” he pointed out, and a “geo-strategic location on either side of the South Atlantic”; both are members of the G20; in both countries democratically-elected governments with a tendency to centralise power have ousted oppressive regimes; and both were downgraded by Moody’s in the past fortnight. The good news, he suggested, is that South Africa has certain distinct selling points in a global market. Among them: mineral pre-eminence, tourism diversity, location between South America and Asia, the “extraordinary example of our constitutional settlement”, market access to Europe, the Middle East and the US and constitutional protections of property and investment. More soberly, Leon added, “you will also see that every element on this list is currently either under review or in some danger”. Like Zille of late, he stressed the importance of protecting the constitution from threat, though he warned that the constitution alone was “no panacea, no holy grail, simply a set of arrangements and rules of the road for the never ending journey towards democracy”. Leon said he felt there was little chance of establishing a “real and competitive constitutional democracy” in a situation where the majority party has, for the past 18 years, received more than 60% of the vote. “Huge majorities do not encourage constitutional caution,” he warned. It was refreshing to hear Leon’s clear, crisp intellect applied to the political matters of South Africa once again, but when it came to question time it became clear that the burning preoccupation of the audience was: what will Tony do next? Would he be actively involved in the DA again? Leon is also writing a weekly column for Business Day and has “some interesting things in the business world” to keep himself busy. He was vague about details: “I want to do a few things,” he said.